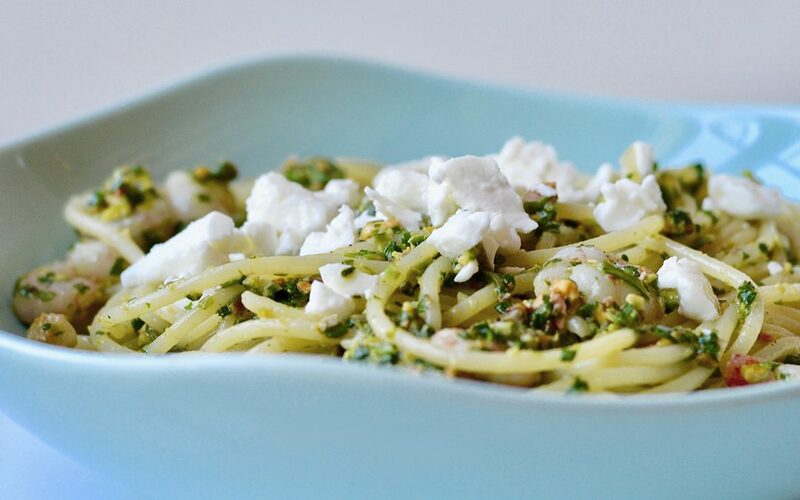 Who doesn’t love pesto? 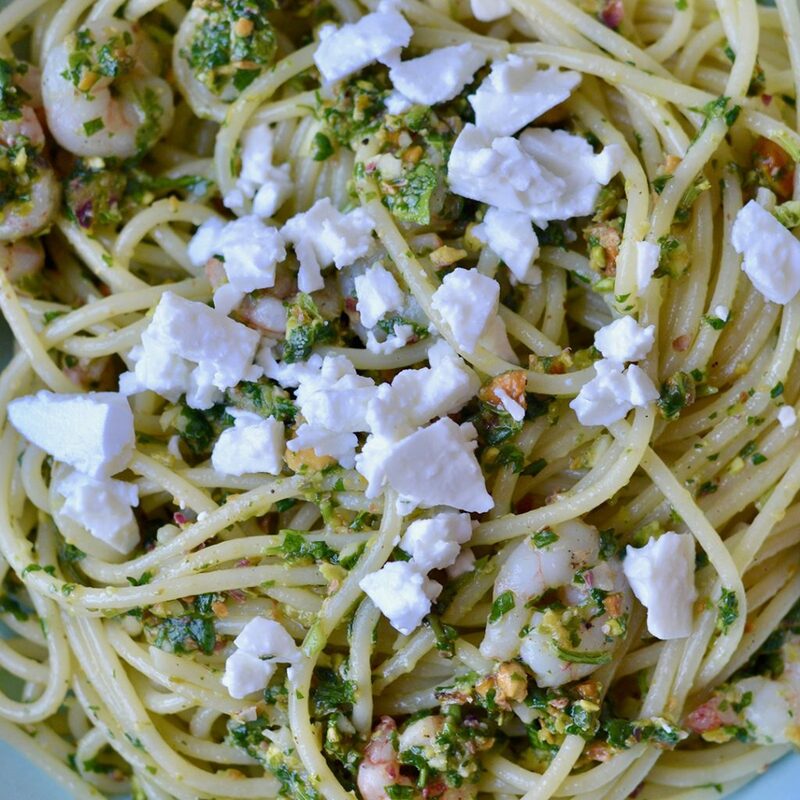 I’m a big fan, but I love this new pesto recipe that I discovered at Ambitious Kitchen (https://bit.ly/2F56fNL) because the cilantro-lime twist is such a perfect combination with the shrimp. This was so good, I made it twice in one week and it is now an official new favourite pasta recipe in our household, thanks Monique! I’ve modified her recipe, ever so slightly. 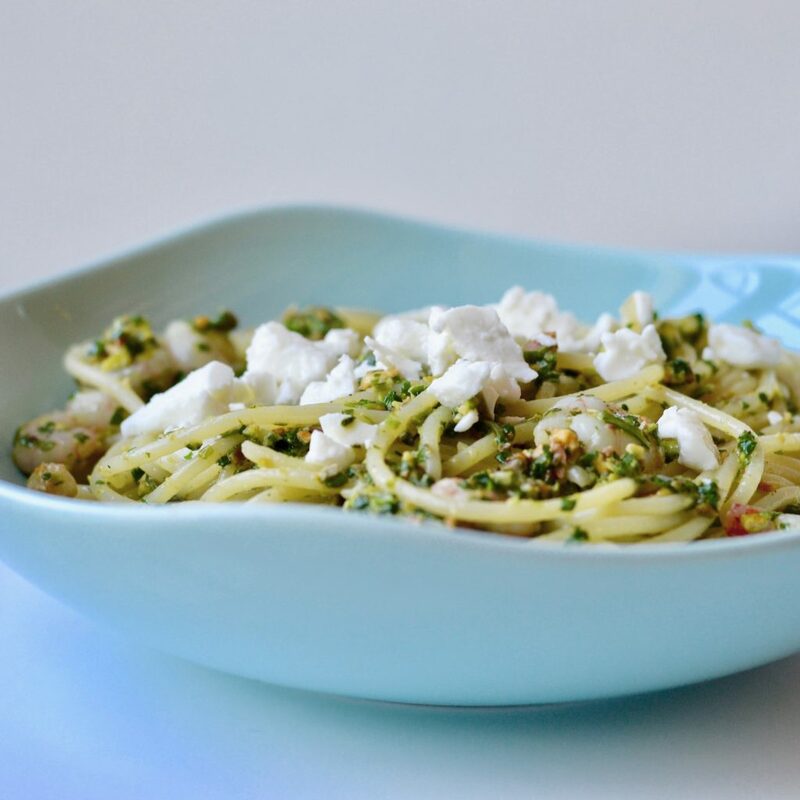 Make the pesto in a food processor: cilantro, pistachios, 2 garlic cloves, lime juice, 2 tablespoons olive oil, and salt and pepper to taste. Process until smooth. Cook the shrimp: add 1 tablespoon olive oil to a skillet over medium high heat. Add in shrimp, 1 minced garlic clove, salt and pepper; cook until shrimp is no longer pink. Remove from heat and set aside. Cook the pasta until al dente, according to the directions on the package. Drain pasta, then add back to pot. Stir in the pesto and shrimp until well coated. 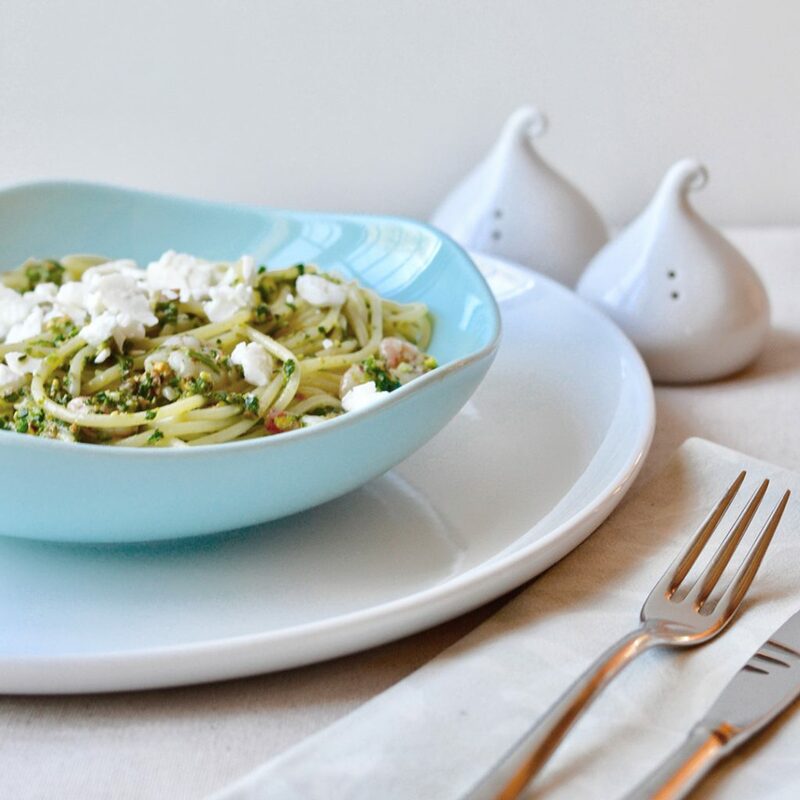 Add pasta to bowls and garnish with feta cheese. Serve immediately. White Eva plate, aqua wave bowl. Salt and pepper kisses in background.